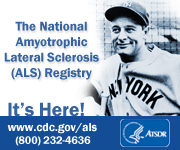 We hope you find this website filled with useful information about our Organization and ALS. Our mission is to help those dealing with ALS find answers to their questions and services for their needs. ALS of Michigan is a voluntary not-for-profit organization, solely dedicated to the fight against ALS. We serve pALS (people with ALS) and their families in the state of Michigan through a variety of programs. Some of our programs include Information, Referrals and Resource Guides, Workshops & Seminars, Equipment Loan Closet, Augmentative & Alternative Communication Center, Home Visits, Peer Counseling, Support Groups, and Respite Care Services (in certain areas). Our organization is governed in principle and policy by a dedicated volunteer board of directors. These individuals, comprised of family members of people with ALS, business and community leaders, health professionals, and members of the general public, provide guidance and oversight to the organization in meeting its mission. In addition to our board of directors the organization is managed on a day-to-day basis by an excellent professional staff. They are responsible for the development, implementation and evaluation of the critically needed programs that ALS of Michigan offers to the ALS community. These dedicated individuals can be reached at the e-mail addresses listed.